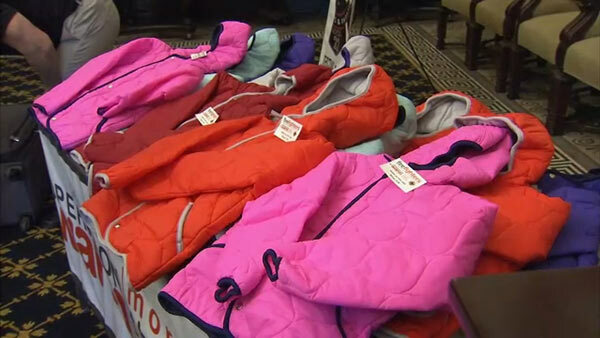 PHILADELPHIA (WPVI) -- The "Operation Warm" winter coat drive was officially launched at Philadelphia City Hall Thursday to help keep local kids in need. Fire Commissioner Adam Thiel, members of City Council, and others were on hand for the launch. Philadelphia has been involved with this drive for five years. Last year alone, more than 300 kids were provided with brand new winter coats.